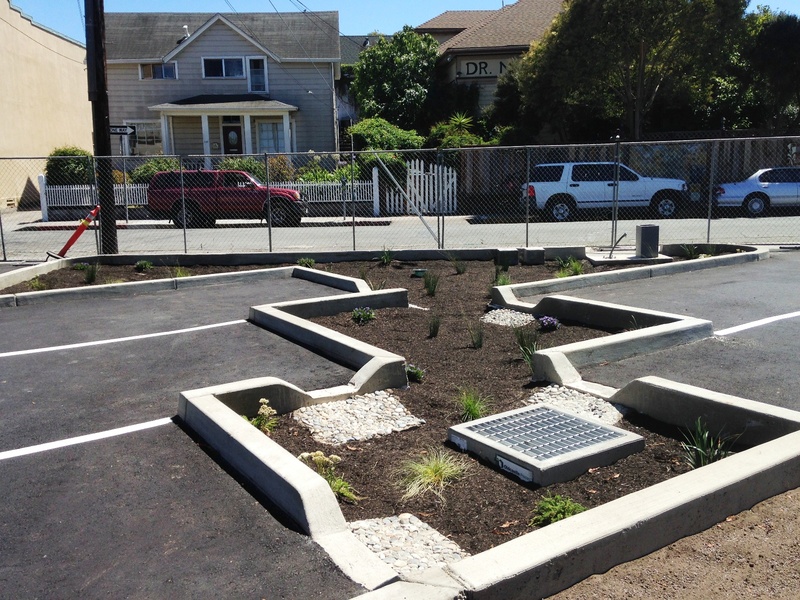 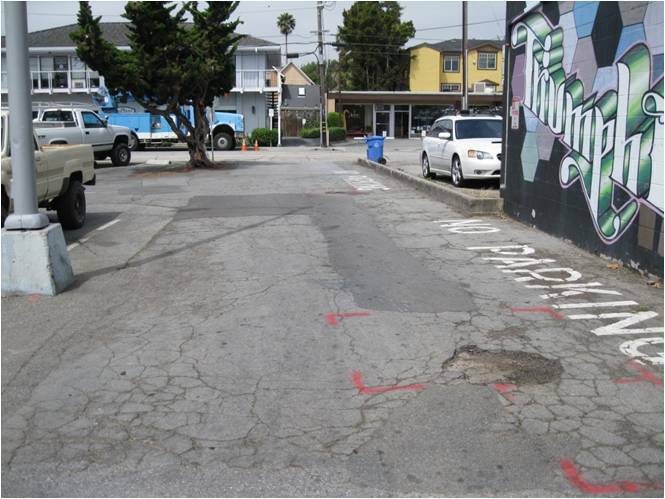 Project Description: In Fall of 2015 the City of Santa Cruz retrofittied a City owned parking lot behind the Catalyst (at the corner of Elm and Cedar Streets) in downtown Santa Cruz to reduce stormwater runoff that was flowiing untreated into nearby storm drains and into the San Lorenzo River. 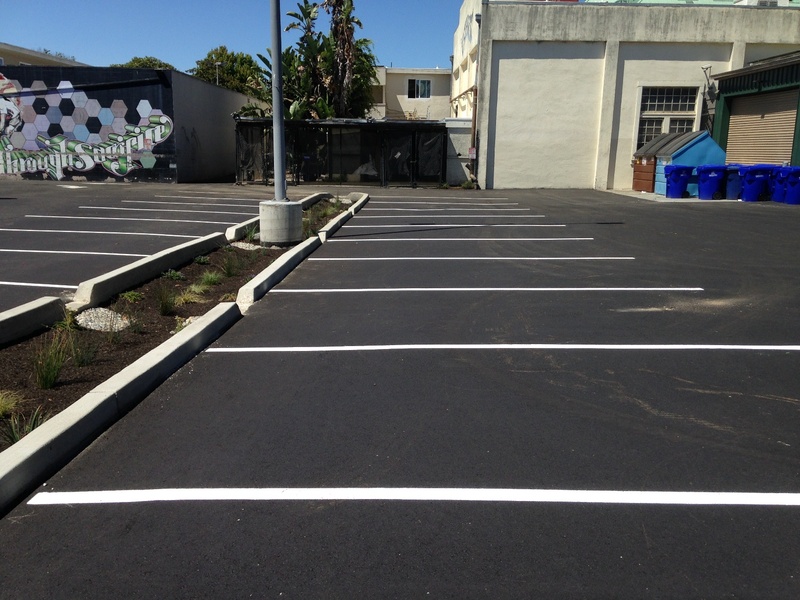 The parking lot was repaved included replacing portions of the parking lot with vegetated swales (bioswales) that capture runoff from hardened areas, promoting infiltration and the removal of pollutants (bioremediation). 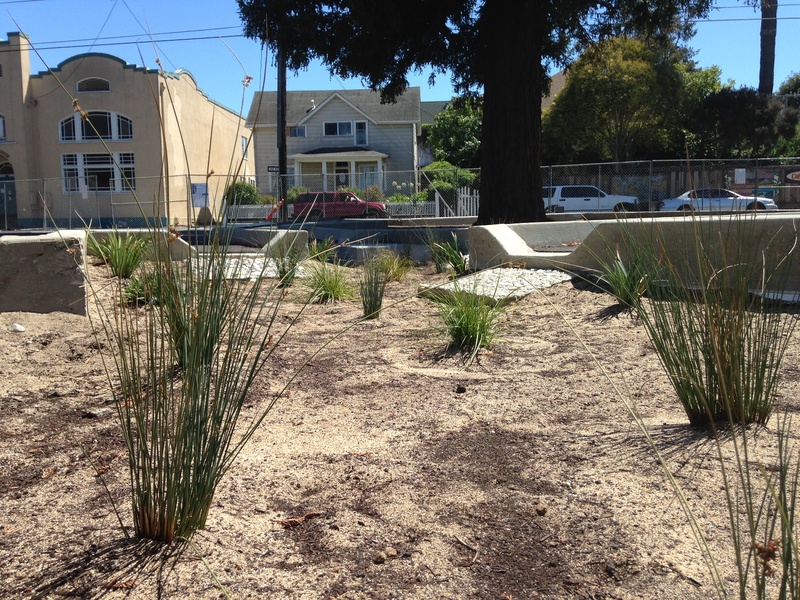 Funding: Proposition 84 Stormwater Grant funds and the City of Santa Cruz.